June 19, 2018 / Valerie Wilson Travel, Inc. The Bedroom Wiener Philharmoniker Suite is probably one of the most magnificent suites at the Hotel Sacher Wien. 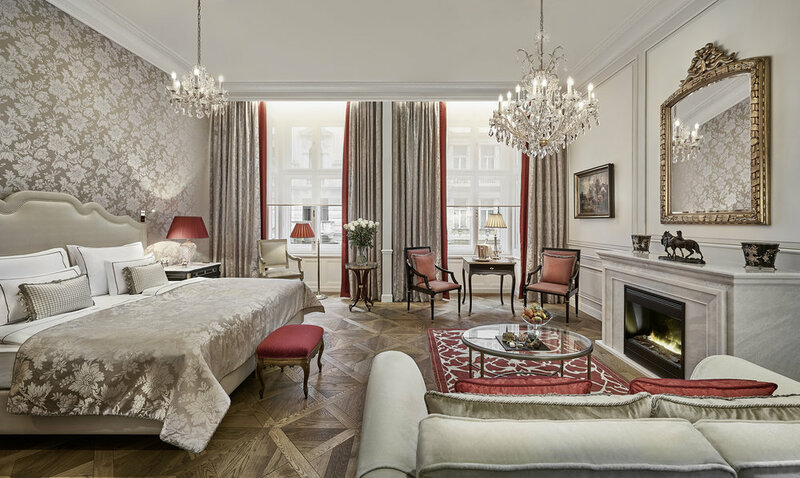 In cooperation with the world renowned Vienna Philharmonic Orchestra, the suite is located on the first floor, the so-called historic “Bel Étage”. Directly located on Philharmonikerstrasse, the Wiener Philharmoniker Suite offers magnificent views over the famous Vienna State Opera and provides the perfect ambience for guests who appreciate the experience of living in an authentic Viennese palace, without wanting to miss today’s contemporary amenities. The suite is kept in royal bordeaux and ivory colors and features a spacious living salon with historical star parquet floor and high stucco ceiling from 1876, historical fireplace, two master bedrooms, two master bathrooms, separate guest restroom, walk-in wardrobe, two additional smaller salons, two balconies, bullet-proof glass windows and a private pantry, offering a total luxury living space of 1.615 ft2. What sets you apart from other suites in this city? In my opinion, I offer the most authentic Viennese experience and of course, a prime location. Open my windows and relax as you listen to the Vienna State Opera all night long. What would be your advice for a first time guest visiting? I would definitely start by exploring the city with a horse carriage ride tour. While the city is very walkable, this is the best choice of transportation to get a first impression and you will feel like the emperor or empress of Austria. We have an amazing Concierge team, who loves to create your personal itinerary and give you some tailored options to choose from. A glass of “Grüner Veltliner” in the middle of the vineyards and a piece of Original Sacher-Torte should be on your list as well. Is there a famous name, a particular street or monument that you most identify with? What inspired your style? All of our suites are named after famous operas or composers. Why? Because of the location – my home is right next to the Vienna State Opera. I would say that I am the heart of the hotel and the jewel of the freshly renovated suites. I am named after the world- famous Vienna Philharmonic Orchestra and they actually gave me a portrait of them with their signatures on it. You can see it, of course, when you visit me. 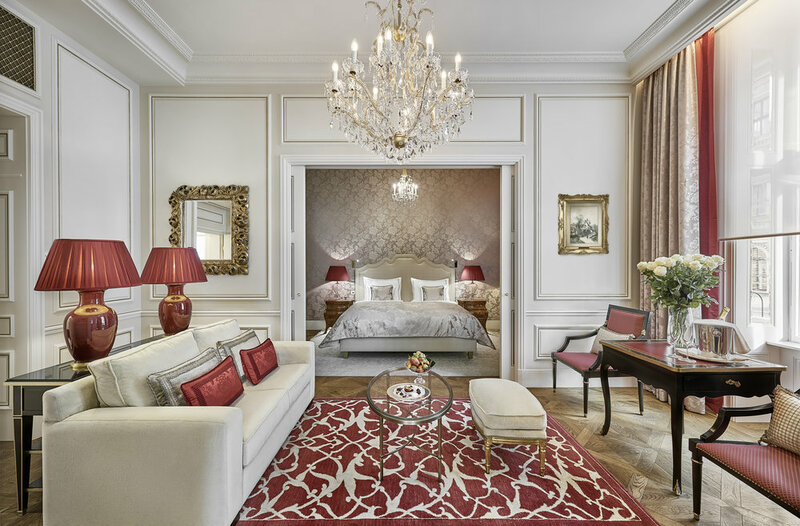 Click here to learn more about Hotel Sacher Wien and the Valerie Wilson Travel Suite Access™ benefits available to you.